Obama regime plans to engage the Libyan government. WHAT Libyan government? 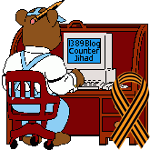 — 1389 Blog - Counterjihad! Recorded at the Center for Security Policy’s Middle East and North Africa Briefing – Friday, November 13th.